Saddleworth lies in the West Riding of Yorkshire. It covers over 18,000 acres much of which is open land with breathtaking views from hills over looking scenic valleys. Most of the population resides in beautiful villages, each with their own distinct character. The area is rich in history with many myths and legends. It is also famous for a few some what darker moments. One being the Bill-O-Jacks murders in 1832 at the Moorcock Inn, when the Landlord and his son were bludgeoned to death. The case has never been solved. The Inn has long since been demolished, but the site where it stood can easily be picked out from the A635 Holmfirth road looking down towards Greenfield reservoir. A gravestone at Saddleworth Parish Church is a grim reminder of the event that shocked the community. 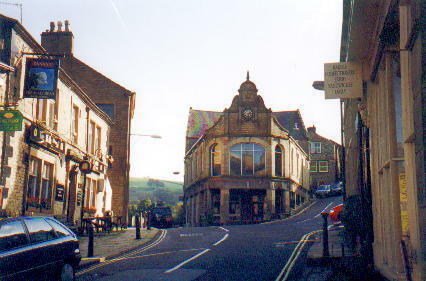 Uppermill is Saddleworth's main village. 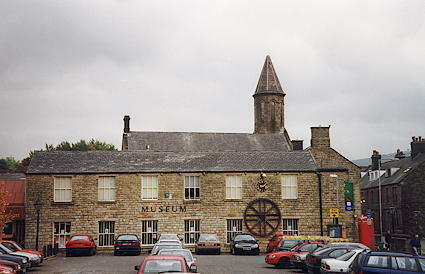 It is home to the Saddleworth Museum, craft shops, tea rooms and several pubs. It is also the place to begin a canal boat trip on the Huddersfield narrow canal. Visit Saddleworth Canal Cruises for more details. Although closed and segmented for many years the canal was re-opened by H.R.H Prince of Wales on September 3rd 2001. The Pennine Waterways web site has more details on the canal with photographs taken during the its restoration. Dobcross is possibly the most picturesque village. It has a tiny cobbled square which has remained unchanged. Delph village, which takes its name from the old English name for quarry has an antique shop, a craft shop, a post office (that has on sale a good range of old photographs of the area) and a couple of the best pubs in the area. The Millgate theatre is home to the Saddleworth Players who make several first class productions every year and the Saddleworth Film Society who show cultural films. Denshaw sits at the junction of three turnpike roads, now the A640, A672 and A6052. The Junction Inn Coaching House placed at the centre served travelers of the past with refreshments. It's still a welcome site for people today who need reviving after a long walk or cycle ride. Greenfield village nestles below Dovestone Reservoir. It has several shops including a bakery and chemist. There are also many quite roads suitable for cyclists and walkers alike. 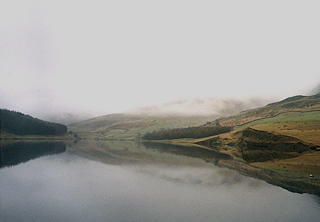 Dovestone reservoir has a sailing club where courses are run for beginners. There is ample car parking, but during summer weekends and bank holidays get there early to ensure you find a place. The Brownhill Countryside Centre, just below the Saddleworth viaduct (which was opened in 1949 to carry the Manchester to Huddersfield railway) is well worth a visit. It has lots of information on local wildlife. The canal is to the rear where a pleasant walk can be undertaken down stream to the Museum and Art Gallery at Uppermill.